Japanese handset vendor Sony Mobile is confident that its future devices will get it to the top of the smartphone market, offering users viable options when compared to the Samsung Galaxy S III or the Apple iPhone. 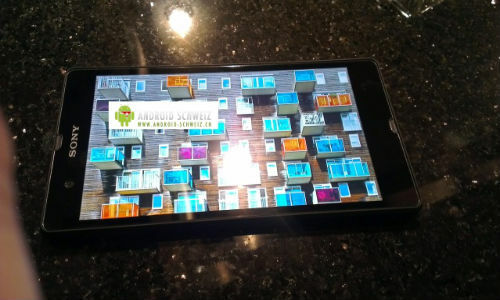 In fact, the company has already confirmed plans to release a new flagship Xperia model, possibly the rumoured quad-core 5-inch 1080p Jelly Bean “Yuga” that’s leaked online, next year that will help it consolidate its position on the mobile segment. [quote]“We will create in the near future a flagship model that can compete with Apple’s iPhone and Samsung’s Galaxy S III,” Dennis van Schie, CVP Sales & Marketing at Sony Mobile Communications, told Financial Times Deutschland. The report goes on to say that this flagship model will be revealed in early 2013 at CES in Las Vegas in January and/or Mobile World Congress (MWC) in Barcelona in February. Stronger content integration will be a key theme during 2013. By the end of the year, van Schie says that all Sony music and video content will be available with cross-device support. Sony’s current flagship device is the phone that James Bond uses, the Xperia T. It’s a solid device and comes stacked with a 4.6-inch HD display (1280 x 720), 1.5GHz dual core processor and a 13MP camera that shoots 1080p HD videos. Moving onto tablets, Dennis van Schie says that it is very difficult to make money on tablets given the fierce competition. However, Sony does plan on releasing more models going forward. “We will bring in addition to the existing Xperia Tablet other Android tablets to the market, but not many,” said Van Schie. Dennis van Schie also confirmed that they are keeping an eye on Windows Phone, although the main focus is on Android right now. “We have a good relationship with Microsoft and we are watching the development of Windows Phone closely. If it succeeds, we will not be caught off guard”.